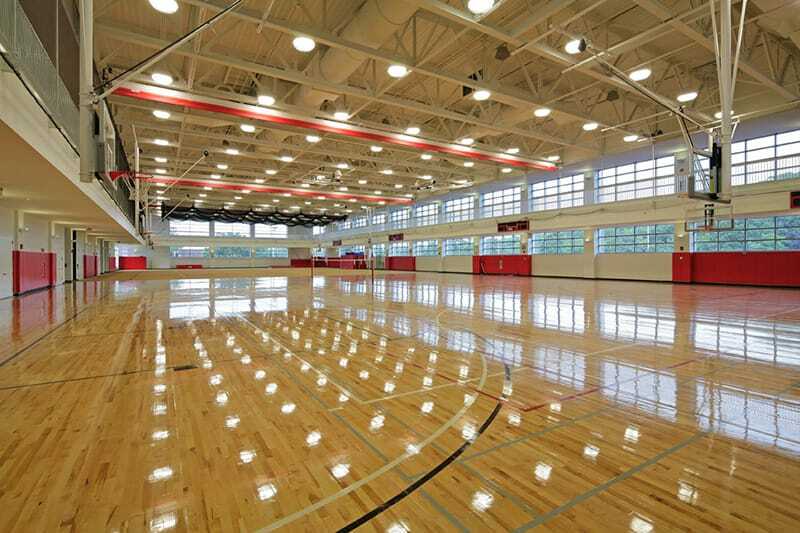 The award-winning WPI Sports and Recreation Center is home to the brightest student-athletes in the northeast. 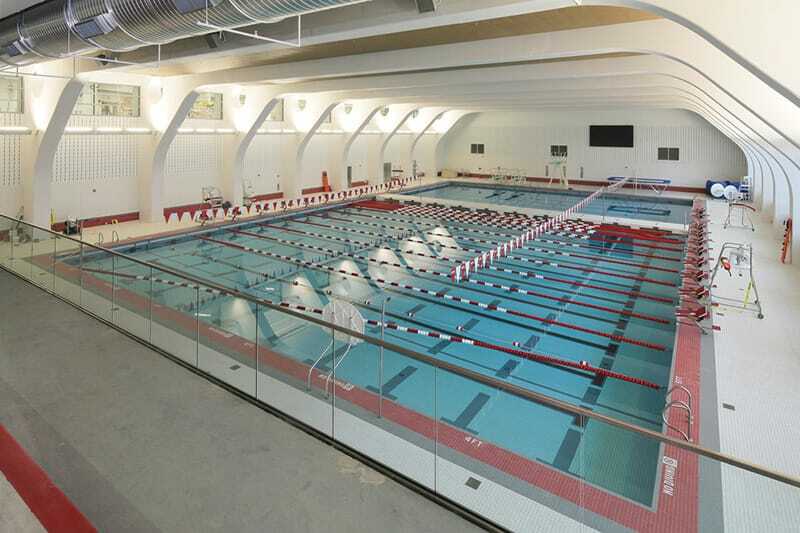 Gilbane added to its history with WPI by building the new four-story LEED-NC Gold facility that includes a competition swimming/diving pool, multi-use courts, fitness center, running track and dance space. The center presented some geotechnical and structural challenges. For one, the building was built into a 30-foot hill. Also the design called for the gymnasium to be built on top of the competition swimming pool. 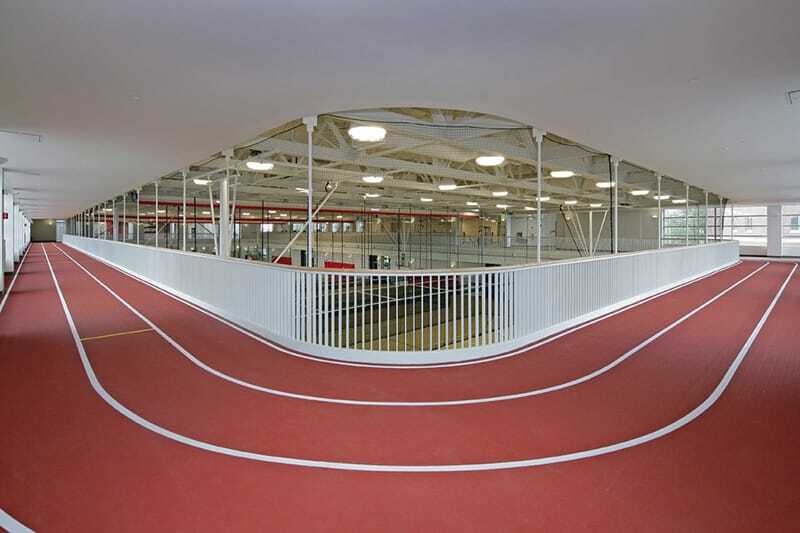 To solve these critical issues, Gilbane’s team provided innovative solutions like geopiers and specialized steel arches to make adjustments during the design phase and avoid costly construction changes. The project completes the quad, where Gilbane previously built the new admissions building, residence hall, and new campus center. Part of the program was to create a space for robot teams to use to prepare for their competitions, held in the adjacent building so the robots could easily roll from the prep space to the competition space. 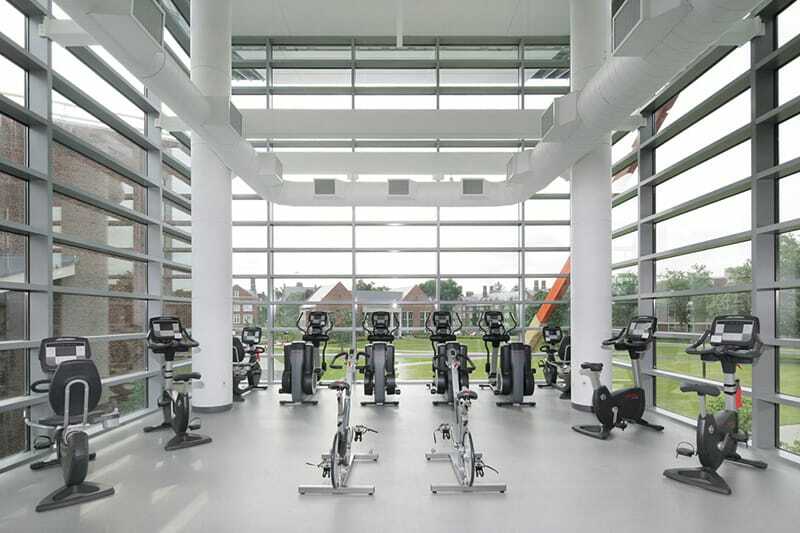 However, by utilizing BIM software, Gilbane discovered that the desired heights for the robotics program were not realized in the base design. As part of our intensive collaboration with WPI, our team contacted the lead robotics professor to assist with the re-work, which saved thousands of dollars.